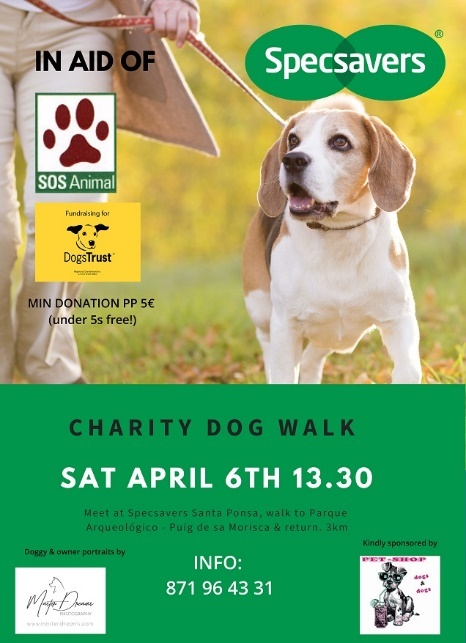 A NEW charity dog walk to raise money for the Dogs Trust and SOS Animales, organised by Specsavers Optica, takes place in Santa Ponca on Saturday. The walk offers a great opportunity to get some exercise, meet fellow animal lovers and raise money for two worthy causes. The event sponsors, Dogs & Dogs and Specsavers, hope to raise around 500€, which will be divided equally between the two charities to fund a range of necessities including food, treats, dog beds, blankets, obedience training, vaccinations and vet check-ups. ‘We are looking forward to welcoming animal lovers to the store for a lovely walk which will raise funds for two excellent causes. 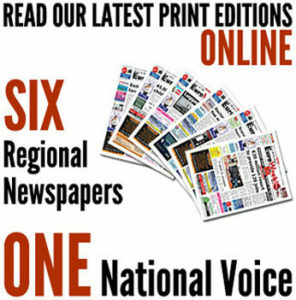 “Please come along and get involved, everyone is welcome.” said Santa Ponça store director Martin Blake. To register, walkers and their dogs should visit the opticians in Avda Rei Jaume 1, 117, Locales 14 y 15 from 1.30pm on Saturday. On the day, the Calvia Lions Club will be offering a free diabetes and pre-diabetes test to all participants and residents from 12pm to 2pm. The quick test by qualified nurse Rina Quinn, is a great way to identify diabetes before developing symptoms, as early diagnosis allows patients to take control of the condition and manage it before complications occur. Walkers will be setting off at intervals, from 1.30pm to 2.30pm, on the 3km route which will take up to an hour and a half to complete, with a break at the Parque Arqueologico – Puig de sa Morisca park. From there it will be down the hill back to the store for refreshments, a rest and a chance to find out more about the charities. Master Dreams will be there to produce beautiful pet portraits of your faithful friends for a donation to the charity. Everyone is welcome to join in for a donation of 5€ per person, under fives are free. Those without dogs who would like to join the walk are also welcome. To register, call 871 964 331, or email: [email protected].